The Fiore family was enjoying a beautiful summer evening and decided to fire up the grill and make hamburgers for dinner. But before they knew it, things took an awful turn. 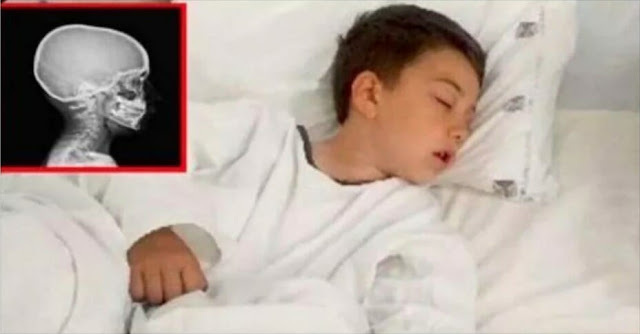 Six-year-old Anthony starting eating his burger, and within minutes, he was seriously ill.
Anthony’s mom rushed him to the hospital emergency room and what the doctors found in the boy’s stomach made her go white. Now, she’s warning other parents so that it never happens again. 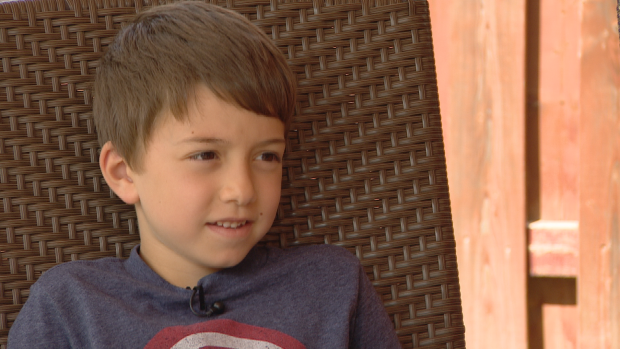 “It felt like a needle,” Anthony told the Canadian radio station CBC. 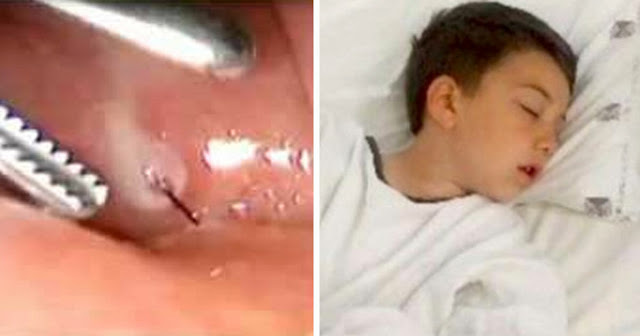 When the 6-year-old suddenly fell ill, his mom took him to the local hospital, where doctors discovered that he had swallowed a wire from a metal brush. 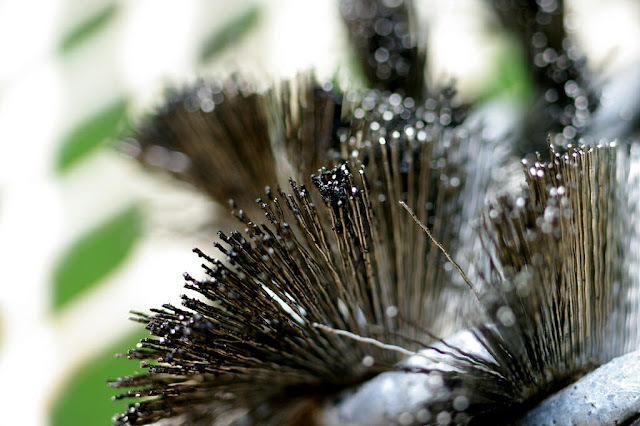 The brushes are common for cleaning grills and most families with barbecues probably owns one. The doctors at the first hospital had no way of removing the dangerous, thin metal wire from the boy’s throat. Specialists at the children’s hospital were eventually able to remove the wire stuck in Anthony’s throat by performing advanced surgery. Then, the important thing was that Anthony didn’t develop an infection from bacteria on the wire. Apparently, it wasn’t the first time the surgeons had encountered the problem, the CBC writes. Several other patients had been admitted to the hospital to remove wires from barbecue brushes from their throats. Duff Dixon, who works at the barbecue company Barbecue World, says that you should replace your brushes as soon as they show any wear and tear. It’s also best to use brushes that are attached to a metal plate, rather than a wood or plastic one, which tend to be less secure. 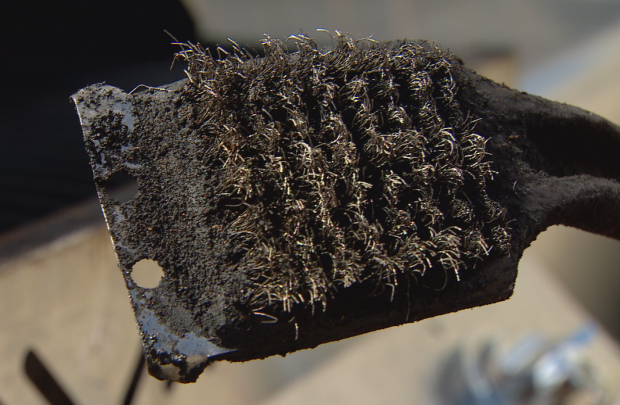 According to Dixon, this problem has existed for as long as metal barbecue brushes have been used. The safest thing to do is skip metal barbecue brushes altogether. There are several other ways to clean barbecue grills without using brushes. Some people fire up their barbecue and let it burn the residue off their grill; others rub their grill with a raw potato. Still others use aluminum foil to scrub the grime away. Anthony’s mother, Nadia, says she went public with her son’s story to warn other families about the risks of barbecue brushes so they can avoid meeting the same fate in the future. The family hasn’t had any more barbecues since the incident, and Nadia says that little Anthony is still afraid to eat anything from the grill. Hopefully, Anthony will get over fear soon, but until then, let’s help share this story so that more people learn about this common household danger.